This study was carried out in a agricultural, industrial, domestic and slaughterhouse discharging region (around Büyükmang?t Village) of Ceyhan River and just under the Dam’s crest of Aslanta? (Osmaniye) founded on the same river. In this study, levels of pollution indicator parameters of the water and their effects on amount and size of leukocyte cell types (lymphocyte,monocyte, neutrophil and eosinophil) were investigated in common carp (Cyprinus carpio L.,1758) and spotted barb (Capoeta barroisi Lortet, 1894). 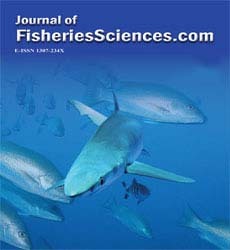 An increase in quantities and sizes of monocyte, neutrophil cells from leukocyte cells accepted as basic of defence systems of these fishes in region of discharging which was determined as polluted was seen at the end of the study, however any structural disorder was no observed in the cells.